A prequel to Pavlov's Dogs, Dr Crispin has managed to successfully reanimate his test subjects, before he can present his research something goes wrong in the labs and his test subjects are wrecking havoc. A rival scientist has new technology that could stop his creations before they infect everyone in the facility. 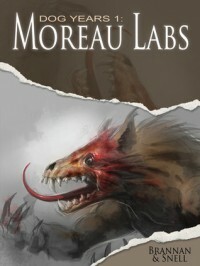 A short, fun read about a lab where monsters are created and what happens when it all goes out of control. The lead character is fairly well fleshed out for such a short read. My only real issue was that the science behind the Hide suits was a bit confusing but perhaps that was just me.